In October, the de Blasio administration announced that it was expanding its affordable housing plan, moving its target from 200,000 below-market units built or preserved by 2024 to 300,000 units by 2026. 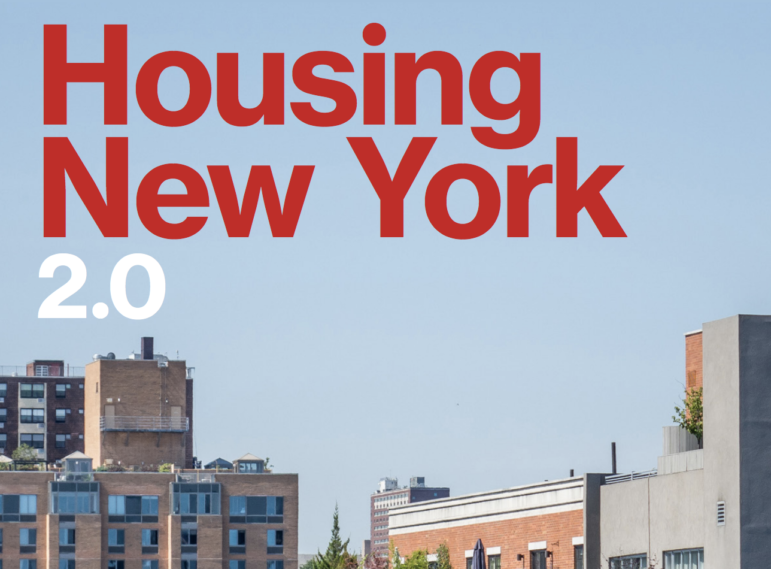 This Wednesday the administration released Housing New York 2.0, its revamped housing plan. It includes a catalogue of new programs and policies the administration will pursue as it works towards the new goal. What the revamped plan reveals is that while there remain clear points of disagreement between the administration and its critics—particularly when it comes to the income levels targeted by the plan and the mayor’s neighborhood rezoning strategy—the administration is taking steps to implement several of the policy ideas proposed by advocates within the last couple years. There’s been a push by advocates to build more affordable housing on both public and privately-owned vacant properties. While in the past the administration has countered that it’s already ramping up its development pipeline for public land and that it cannot control what private owners do with vacant property, Housing New York 2.0 includes some new initiatives on this front. It’s launching “Housing+”,a program that will entail building new below-market rate housing on underused parking lots next to older affordable housing developments such as Mitchell-Lamas. The administration is also committing to building more senior housing on NYCHA land, and says it will start encouraging the construction of “tiny homes” on very small city-owned land parcels. (It’s not clear from the report, though, how large each of these three initiatives will be.) Most startlingly, the administration says that as part of its property tax reform efforts, it will explore a new way to tax privately-owned vacant land to incentivize development. In the original, 115-page, 10-year housing plan released by the administration in 2014, the word “displacement” is used three times; the word “speculation” never appears. In the new 33-page plan, the word “displacement” is used 10 times and “speculation” thrice—a sign that the administration now recognizes rents are rising not only due to an inadequate supply of housing, but because of dynamics within the housing market. Under a chapter headed “Develop Neighborhood-Based Anti-Displacement Strategies,” are new initiatives like “Neighborhood Pillars,” which will help nonprofits purchase and renovate 7,500 rent-regulated units in buildings at risk of a speculative sale and “Partners in Preservation,” in which HPD will work with community organizations to develop tailored, comprehensive anti-displacement plans for certain neighborhoods. The city will also make investments to protect 15,000 Mitchell-Lama apartments and support state legislation that would allow housing court judgments to be converted to city tax liens, making it easier for the city to enforce housing code violations. Some advocates have complained that the administration has not placed a great enough focus on homeownership. The recent announcement that the city would support the creation of a new, homeownership-focused community land trust is one recent step in that direction, but the plan includes a few other small steps: a program called “HomeFix” to help low- and moderate-income homeowners fund repairs, and “Open Door,” a program to finance new co-ops and condos for households making between $69,000 and $112,000 for a family of three. The number of units in the plan dedicated to homeownership has increased by 10,000, or from 5 percent of the earlier plan to 6.6 percent of the new plan. There’s more, including efforts to promote innovation, like the creation of mixed-income buildings including micro-units for individuals and small households and the expansion of modular construction, as well as proposals geared toward increasing senior housing and encouraging changes in state and federal policy. Overall, the document is a testament to the power of advocacy in shaping the conversation. Yet while sometimes activists pushed these policy ideas as alternatives to neighborhood rezonings, the de Blasio administration is content to add more tools to the toolkit without tossing its rezoning strategy. The mayor recently suggested the city wouldn’t push a rezoning if it wasn’t working, but at the press conference on Wednesday Commissioner Torres-Springer resisted charges that the rezonings can exacerbate displacement. “A lot of ink has been spilled about opposition to city rezonings,” she said. “We have to use all the tools that we have and more.” She said that in the Jerome Avenue area, a host of anti-displacement strategies were being brought to bear. The city still also disagrees with advocates who view either downzoning or building height limits as affordability strategies—such as those in the Lower East Side/Chinatown who have been advocating for the Chinatown Working Group Plan to limit building heights and impose higher affordability requirements. 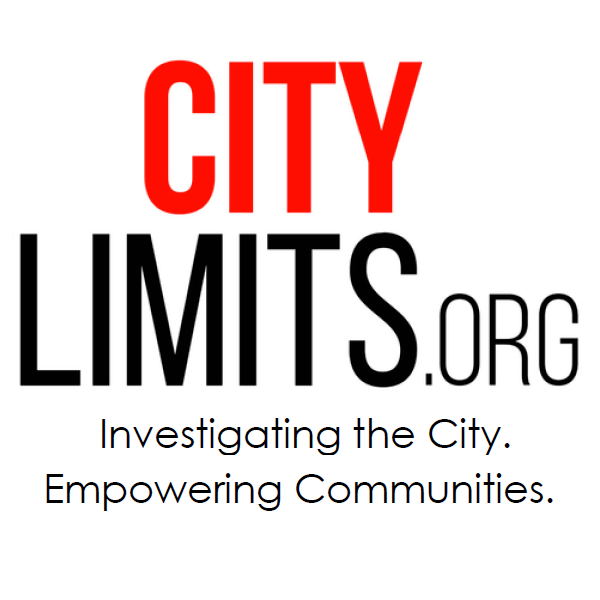 * Arguing that lack of sufficient housing supply is the main driver of the crisis, City Hall spokesperson Wiley Norvell tells City Limits that growth “has to happen everywhere” and that the city can only impose affordability requirements when it provides more density through an upzoning. Other areas of disagreement also persist, like which income levels should be targeted by the plan. Critics long argued that de Blasio was targeting too many units toward moderate- and middle-income families when statistics show that the market is much harder on the lowest-income households than on anyone else. In February, the administration expanded the number of units in the plan for households making below $42,950 (for a family of three) from 20 to 25 percent of total units under plan. Advocates saw that as a good if insufficient step. But that’s as far as the administration appears willing to go: 25 percent is still the target in the new plan, though it’s true the city is so far exceeding that goal, building 32 percent of units for such families to date. *Clarification: The full Chinatown Working Group plan proposed by planners in December 2013 includes a couple instances of modest “downzoning” but it’s not extensive, and in most areas it keeps the same or even encourages greater residential density. It would, however, impose building height limits, higher affordability requirements and other regulations. Downzonings are politically more popular than upzonings. NYC is dense enough and crowed enough as it is. deBlasio has to respect local communities zoning demands for their own neighborhoods. NYC doesn’t have the infrastructure to sustain much more growth. no one has yet to address the issue of what is the optimum size of the population for nyc. no thought of the relationship between population and economic growth. as i remember it, the bloomberg projection was 20 million for nyc in 2050. why? No one in the deBlasio administration understands that all these new apartment towers, particularly in western Queens, are starting to max out the city’s water/sewer system. A very boring topic until a crisis hits. We fully support building more low cost housing. But please save the Elizabeth Street Garden Park. It is a rare gem that bring great peace and pleasure to lower East Side residents. I understand why you feel that way but a 25,160 square foot (136′ x 185′) parcel like that in a C6-2 zoned lot in lower Manhattan is too valuable to remain a garden. The city estimates it’s market value at around $17M. Since the lot is owned by the city it is exempt from paying the $735,091 property taxes on the lot. Seriously, dude? In one comment you call out for local communities to control their own zoning, and then when it’s not what you want, suddenly you’re just fine with ignoring local demands. Hmmmm…. The Elizabeth Street parcel is prime Manhattan land which is paying zero property taxes. Downzonings reduce overall density, the people who want to save the garden don’t want to build anything there. In an era of shrinking government housing subsidies, an economic rent cannot be achieved for a development without a larger portion of higher income units. The greater the number of lower income units (less than 60 percent AMI) reserved for a development, the greater the need for higher income units (60 percent AMI and above). It’s just a balance that must be played out in a era of declining subsidy. This, in turn, reduces the potential for lower income unit development, thus reducing housing opportunity for lower income households, and impacts the economic structure of lower income communities where, because of land costs and nimbyism, much affordable housing is built. In this way the development of affordable housing is itself a catalyst for area gentrification. Any thoughts? That very topic came up today in the NY Times. Looks like in the real world higher income New Yorkers do not want to live in so-called mixed-income developments with troublesome lower income tenants. The higher income tenants rents were supposed to subsidize the lower income tenants rents. What now? Probably more subsidy money from taxpayers. Yes, we think bigger and bolder. Use Community Land Trusts to move city-owned property (and others) into democratic, community-controlled, permanently affordable developments. Partner with Community Development Corporations and other not-for-profit developers that are not beholden to the same market forces to produce certain returns in a certain timeline (this makes funding much easier). We would still need to figure out funding this expansion of development, which we could (at least partially) do by stopping tax breaks to private developers for an affordable housing program that doesn’t provide nearly enough affordable housing, and actually makes things worse. If the issue is a shortage of affordable housing, building more market-rate housing isn’t meeting demand (not anytime soon), it’s just driving more people out of their homes and communities. Oh, and we should start lobbying Congress to allow cities to build more net new public housing. Most of the city-owned vacant land is unbuildable. Small odd shaped parcels, sections of highways, etc. How about respecting the space of people already living here? The infrastructure cannot handle the additional population. NYC is no longer navigable – subways are surcharged, roads are congested 24/7. What next triple tandem buses? Someone really needs to say enough and that this growth has to stop. NYC populations stands at 8,500,000. I think that’s enough. The waterfront portion of the CWG plan does not call for a downzoning. It calls for keeping the zoning the same in most of the area, upzoning low density property being used for storage to allow for high density housing AND MULTIPLE CONTROLS VIA THE ZONING TO ENSURE THAT A SIGNIFICANT PORTION OF HOUSING BUILT IN THIS VERY LUXURY MARKET ACTUALLY BENEFIT REGULAR NEW YORKERS. The vote brings the fourth De Blasio rezoning one step closer to approval.